Just a small section of the 22 x 17 inch map. 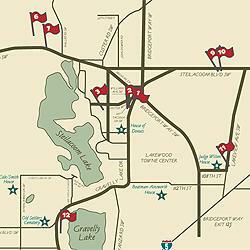 The City of Lakewood has just published a handy map for anyone who'd like to take a self-guided tour of historical sites from the comfort of their own car. For your convenience, we're posting it here as well, as a downloadable pdf. Happy historical hunting!